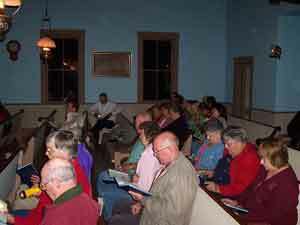 Reeds Mill Church has become well known for its annual hymn sings. Started in 1978 when Ward and Wade Bredeau asked the late Rev. Robert Holcomb what the church would look like after dark. With lanterns aglow and flashlights, the over 30 year tradition began. 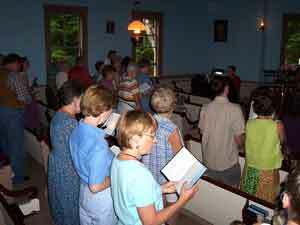 The first September Hymn Sing was standing room only, and it's been that way ever since. Don't miss 2016's Hymn Sing!